Monday/Wednesday: 10:00 a.m. - 12:30 p.m.
Dr. Stanton is currently an Associate Professor of Marketing at Radford University located in the beautiful New River Valley of Virginia. 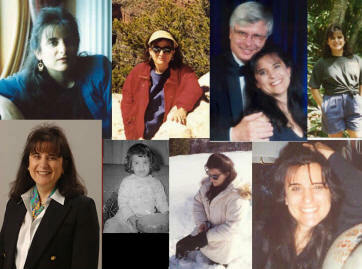 For the past 19 years, Dr. Stanton has been president of The Strategy Group, a marketing research and consulting firm. She has a BBA in Information Systems, an MBA and a Ph.D. in Business with a major in Marketing and an emphasis in International Marketing and Cross-Cultural Research Methodology from Old Dominion University. In addition, Dr. Stanton has served as a computer specialist and management analyst with the U.S. Navy; systems project manager with Advanced Technology; vice president of Information Technology Solutions; and vice president of Stanton & Associates. During her career Dr. Stanton has consulted with many companies and government agencies including: AT&T, Lucent Technologies, Telefonos de Mexico (TELMEX), PT. Telekomuniskasi Indonesia, Bank of America, National Education Association, Ortho Pharmaceutical, Pet Industries, Pizza Hut, J.C. Penney, and Dunkin' Donuts. Prior to her appointment at RU, Dr. Stanton was an Assistant Professor of Marketing at James Madison University. This page was last updated on 08/28/2011.